Exactly seven months ago I left San Juan. Several plane rides and 19 hours later, I landed in Wrocław. With little expectations in mind, a taxi drove me to the Ołowek dormitory, which would be my home for the next months. One man was the reason for me to come to Poland. His name: Ryszard Kapuściński. I had been reading his books for six years and once I enrolled in a doctoral program in Navarre, Spain, I decided to convert him into my main research subject. I had been planning this trip for so long and to finally make it happen was a dream come true. From my first symbolical encounter with Kapuściński (symbolical because unfortunately I was never able to meet him in person), I knew that in order to obtain a better understanding of his work, his life, and his thought, I had to set foot in his homeland. There was no other way to do it. For the next months I taught a journalism workshop at the University of Wrocław and interviewed as many people as possible, connected to my research subject either directly or indirectly. Although the language barrier was definitely an obstacle many times, never before in my life had I met so many open, gentle, and warm people willing to aid me in this process. One of these persons was Kapuściński’s widow, whom I recently met. 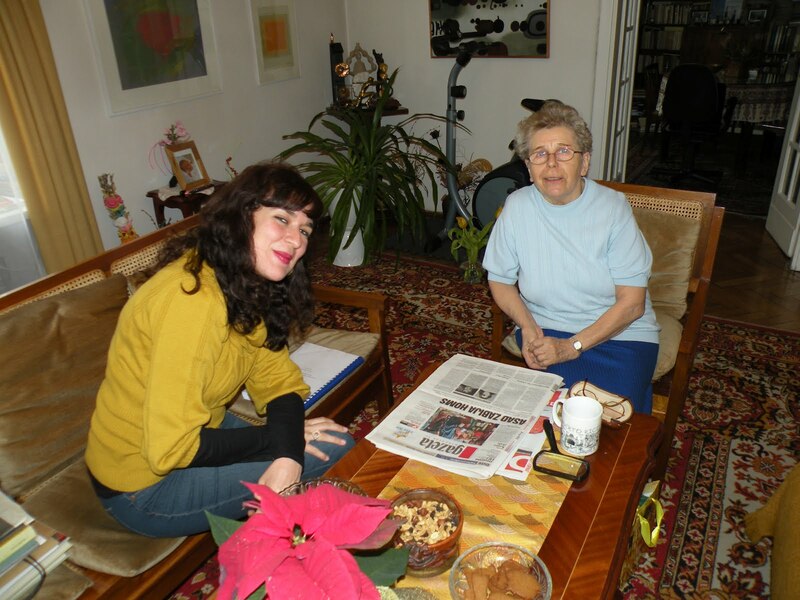 Accompanied by one of Kapuściński´s good friends, Piotr Załuski, I visited Mrs. Kapuścińska in her home in Warsaw. This encounter marked a summit in my research project and in my personal life. 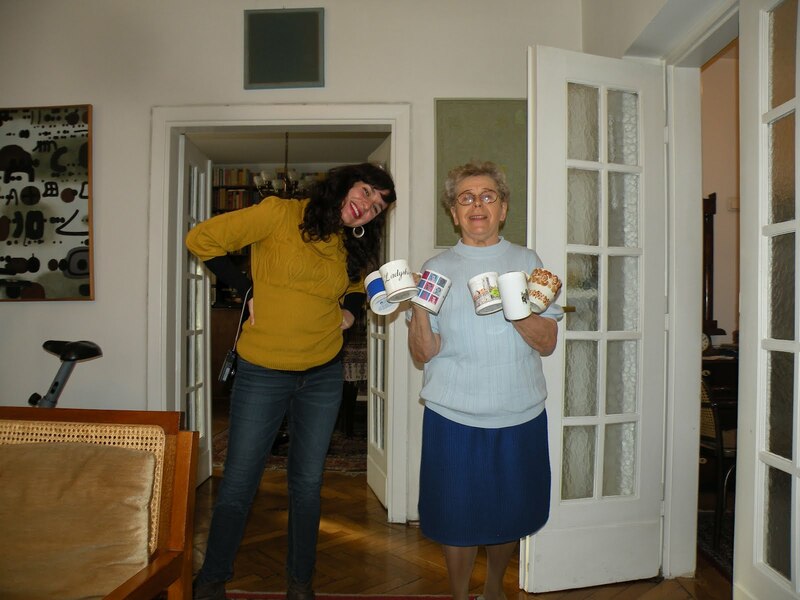 As we entered her home, Alicja greeted us warmly and invited us to some tea and cake. We sat in her living room and listened to her stories in perfect Spanish, which she learned during her time living in Mexico. Shortly after Alicja lead us upstairs into Kapuściński´s retreat, a cellar which he converted into a library and office. I had seen many pictures of this office in the press and books, and anxiously waited for the day to arrive in which I would see it with my own eyes. “Everything you see here is exactly the way he left it. To me he is still travelling and will return one day”, Mrs. Kapuścińska said. “Thinking in this manner has helped me cope with his death a little better”. To say that Kapuściński´s working area looks like a bookshop is an understatement. The word museum or library would probably suit it better. Hundreds or maybe even thousands of books sit on the shelves, tables, on the ground, and even on the stairs. Reporter notebooks hang from the walls. Some written till the last page. Others empty. Many pages include excerpts of his unfinished works that he was never able to conclude due to his sudden death in 2007. 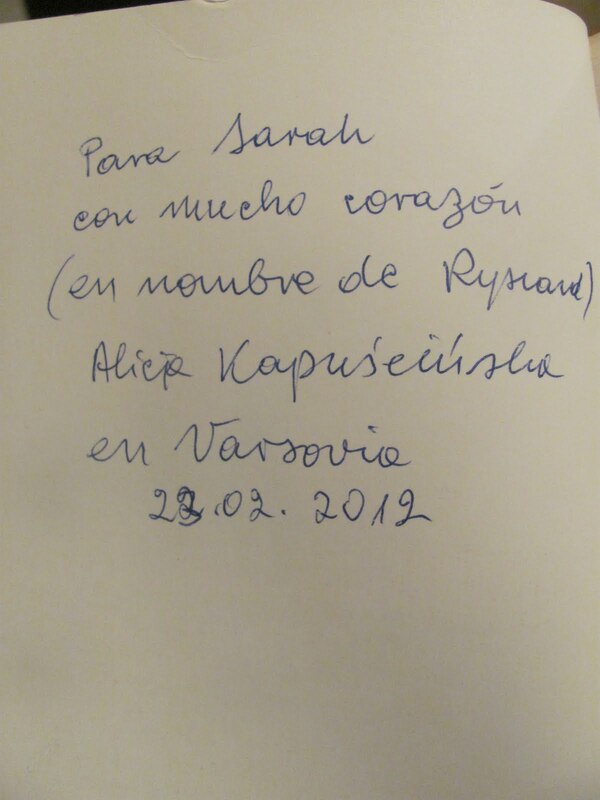 I was lucky enough to see some of the handwritten notes he took while travelling through Peru and other southern American countries as a correspondent for the Polish Press Agency. I saw the elephant figurines he collected while voyaging through Africa. His watches. His impressive pen collection. Newspaper cutouts and funny quotes he posted on bulletin boards. Files he organized alphabetically with periodicals. 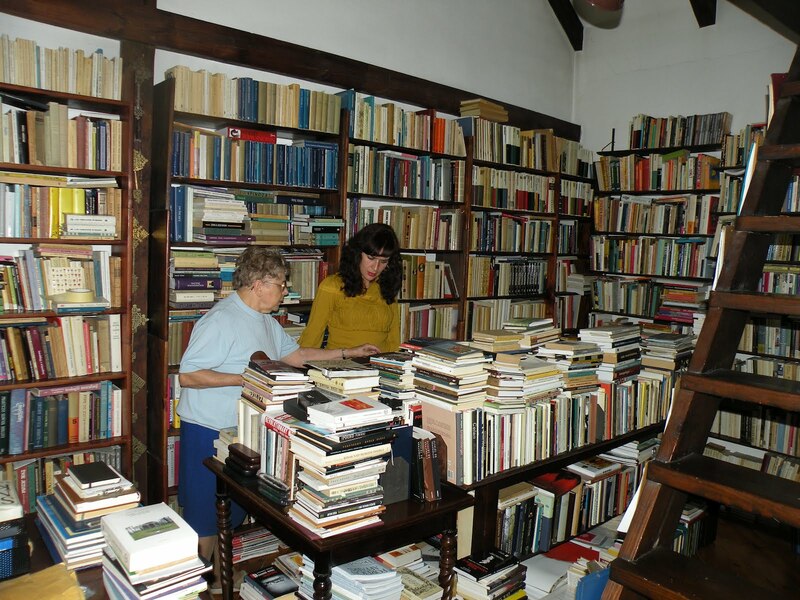 An upstairs area where he selected books and other material that he planned to use to write his unfinished books. In sum, possibly the richest collection of intellectual material I have ever witnessed. Before leaving, Alicja kindly autographed one of her husband´s books I brought along with me. Kapuściński is for me a symbol of Poland. Of everything I love about this country and the reason why I initially came here. And to Kapuściński I am incredibly grateful, because now I understand him and his people a little bit more. I now realize that I do not want to leave, although my research and dissertation are completed. I have found a home away from home outside of my warm Caribbean island, and with each waking moment I continue discovering more things I love about this country. All thanks to my teacher, who more than a journalist, a writer, and a traveler, was a person who observed and wrote about the reality in which he participated with the intention of making the world a better place.